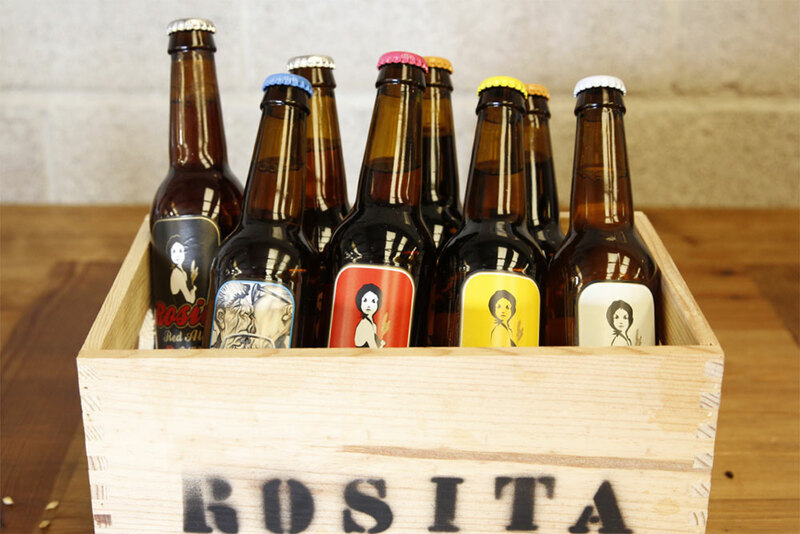 Rosita is the quality craft beer that has won over the demanding palates of some of the world’s top sommeliers and chefs, finding a place at the tables of some of the finest Michelin-starred restaurants, such as those of Ferran Adrià, Juan Mari Arzak and Carme Ruscalleda. Brewed with all natural ingredients, unpasteurised, and without additives or preservatives, it is a truly artisanal product. Rosita is currently available in fourteen countries, including Australia, Finland and Japan, and is a winner of multiple international awards. Rosita is brewed with the quality ingredients you would expect to find in a craft beer: water, malt, hops and yeast. We never use artificial preservatives or colourings and our water comes straight from the mountains of Prades. Our barley malt comes from Germany and England, always using non-GM crops. Once the grain has been harvested, it’s humidified to provoke the beginning of germination. When the grain opens, it’s toasted (malted) to the desired colour. Our honey is a multi-flower variety from local beekeepers. Our hops, as well as working as natural preservatives, lend the beer a characteristic bitterness. They come from various countries: the Czech Republic, Germany, New Zealand and the USA. Our yeast is ale yeast, which naturally transforms the sugars of our wort into alcohol and carbon dioxide (CO2). There’s a Rosita for every moment, thanks to the variety of our range. Some marry better than others with fish, meat or with traditional Spanish tapas, thanks to the different types of malt, hops or yeast used in their production, which bring out different flavours and aromas. The Rosita product family hasn’t stopped growing since 2007. It has become one of the most complete and varied ranges on the craft beer market, meaning that there’s a Rosita for every occasion. This is our first craft beer, and it's characterised by its surprising hint of honey. The honey balances a little of the bitterness of the hops, and this makes it a really interesting beer to pair with certain gastronomic ingredients, especially those which don't always marry well with wine: like asparagus and artichokes. 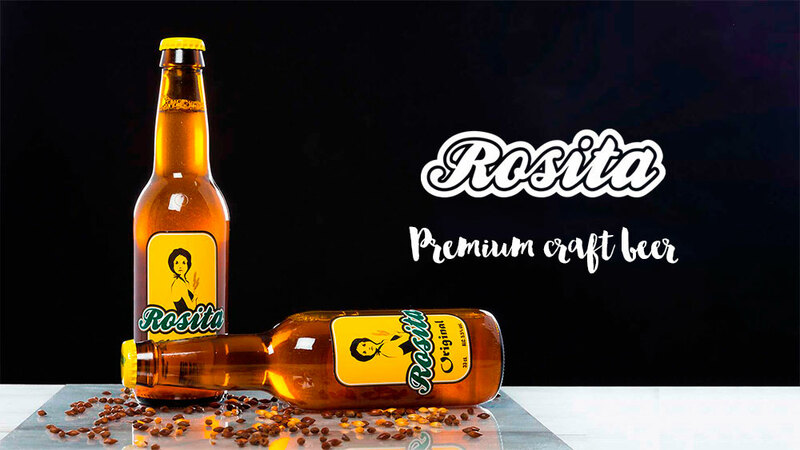 The quality and the added value of Rosita craft beer with respect to its taste and its aroma have won over the sommeliers of some of the most prestigious Michelin-starred restaurants, who now feature it on their menus. Rosita and haute cuisine: a winning combination! An ideal beer for the summer. Brewed with wheat and bitter orange peel, we've created a very light and refreshing beer. A dark craft beer, made with an ingredient that's very much a feature of our landscape: hazelnuts from Alcover. A great chef, Juandi Xivarri - crazy, daring, a rascal, but above all a friend - showed us how to combine it with a chocolate pudding, and with spectacular results! At 7% ABV, this one was born for the cold weather, or for all those beer-lovers looking for intense flavours and who like their beer well toasted. It's a beer to drink slowly: to savour and to enjoy. There's a Spanish saying: 'La primavera la sangre altera' - literally, 'the springtime changes your blood'. Temperatures rise and love is in the air, and if that weren't enough, we came up with this beer with ginger, lemon peel and hibiscus flower to awaken your most primal desires. Refreshing, smooth and fun! We came up with this white India Pale Ale after some late-night discussions (over more than a couple of beers) with an American master brewer. It's a combination of two styles of beer: white beer and IPA, what else? To add a Mediterranean touch, we added juniper berries! One day a young intern appeared in the brewery, and we set him a challenge: to create something different, a quality beer that would surprise us. After a few attempts, and more than a few arguments, he created Rosita Red - our first Irish red ale. So convinced was he by his creation that he insisted on presenting it to an international competition in Ireland. The beer won the bronze medal and the intern ended up becoming our master brewer. In all the world there are barely a dozen beers that top 15% ABV, and we were in a mood to surprise the world again. As usual, after a couple of beers (in the name of 'research'...), we created this spectacular artisanal Rosita which rocks the hydrometer at 17% alcohol, intended to follow a good meal. To add to the surprise, we recommend serving it in a small glass with ice and a slice of lime. It's not going to quench your thirst, but it will leave you with pleasant memories.